Waaaaay back in 2015, I saw a post from the Fort Worth Fabric Studio, in which they were announcing a new kit available at the time. The name of the pattern is "Shimmer Braid" and was designed by Deanna Jennings. I don't normally buy kits (i.e. the pattern plus fabrics) because I have a pretty extensive stash and can envision a pattern in the fabrics that I have. But this example? Oh. My. Gosh. It was drop dead gorgeous. THE COLORS!!! Purples and teals and blues and turquoises and sea green .... they sang to my heart! I absolutely knew, beyond a shadow of a doubt that there was NOTHING in my stash that could rival this selection. I had to have it. So, I bought the kit .. the pattern and fabrics. In time, the box arrived. The fabrics *were* exactly as the picture portrayed. Lordy, lordy, they were gorgeous. But, I probably was hip-deep in other projects at the time, so it was put away. I do remember pulling the box out from time to time over the intervening years but always put the box back on the shelf. There was also a Facebook group specifically for this project as a quilt-along but since I wasn't going to be working on it in 2015, I never was a part of that group. The group still exists, if you care to look it up for pictures of the different variations that were made by the members. They are simply breath-taking. 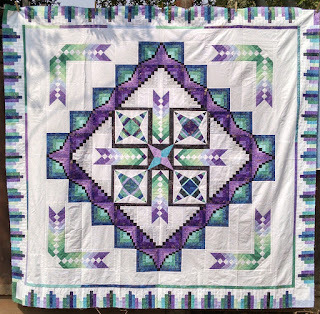 Quilters are SO creative and this Facebook group is no exception. This past July (2018), Mr. Pirate & I took a road trip in our travel trailer to see the Sisters, OR annual quilt show and to join in the celebration of a quilting friend's 50th birthday. Since we were going to be "camped" there for about 4 days, I brought along Shimmer Braid to work on, in addition to my typical handwork. Once I opened up the box and started reading the 5 part tutorials for cutting and assembly, I realized why I kept putting it back. I was having trouble making heads or tails of the cutting directions. I even had one of my *very* experienced quilting friends look over the directions with me, in the hopes that another set of eyes would set me straight. But .. no ... she couldn't figure the directions out either. Eventually, I just bundled all the fabric back into the box and brought it, unsewn, back home. I must say, at this point, that I usually have positive posts. 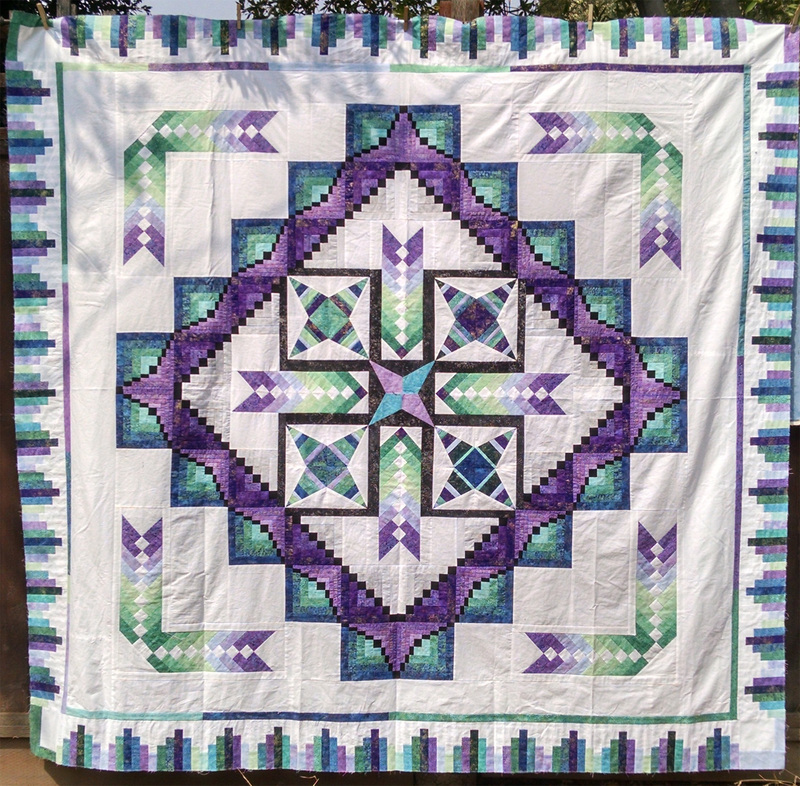 I've been quilting for over 30 years and have made all kinds of different patterns. 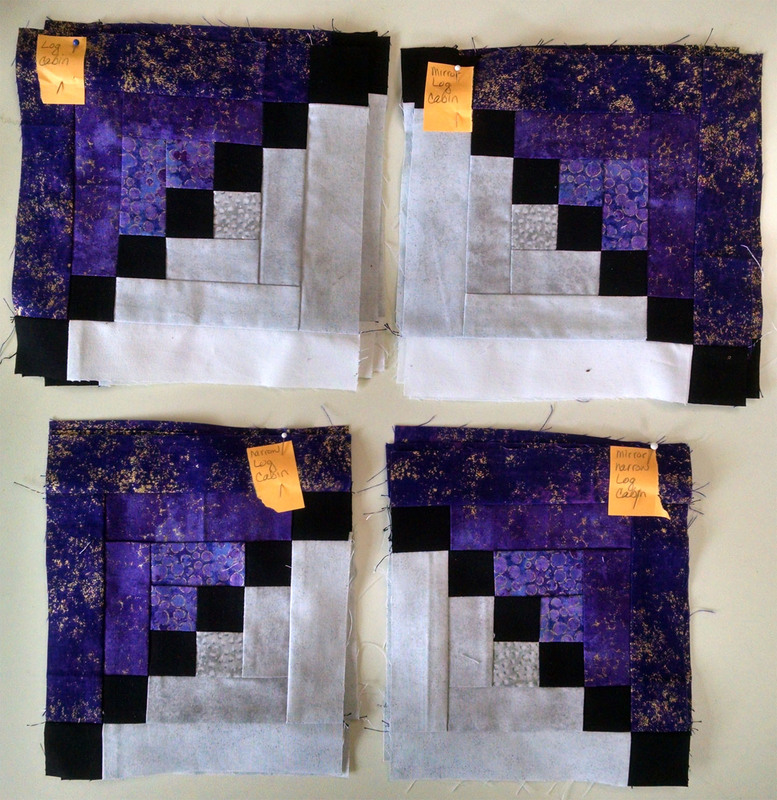 I haven't shied away from "difficult" layouts and I've been extremely successful in creating lovely tops and quilts. I say this because I had *serious* issues with the directions and assembly directions, as written. For me, they were difficult to follow. When I read the comments on the Facebook group, everyone was extremely supportive, so the only conclusion that I can come to is that *I* am in the distinct minority here and the problems in following the cutting and assembly directions must lie with me. If so, i take full responsibility for that failing. However, even with that caution, the directions also say that one fat quarter bundle wasn't *quite* enough to yield all the pieces necessary for the top ... so ... the shop included *two* fat quarter bundles of the focus fabric so that the top could be successfully completed. What this REALLY meant was that, when completed, there was WAAAAAAY more fat quarter pieces left over that *were not needed* but the customer had to pay for them. My opinion is that the store should have cut the focus fabric from *yardage* instead of using precut fat quarter bundles. Having said all of that, eventually, after all lot of gnashing of teeth, frustration and annoyance with the assembly directions, I eventually did get the top successfully pieced. I love, *love*, LOVE the colors and the arrangement! Except ... the outer border. The directions have the option of sizing the top up to a queen size. This is accomplished by adding on plain, white borders to the outside. 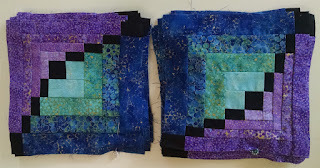 While this does give the quilter lots and lots and lots of white space for creative quilting, those slabs-o-borders did absolutely nothing to enhance the basic layout. 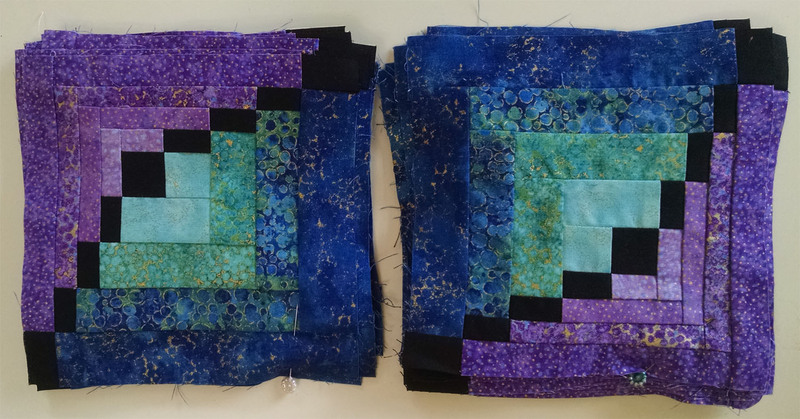 I will say that the original, smaller size is lovely and the only reason I didn't make it is because I tend to like bed-sized quilts. 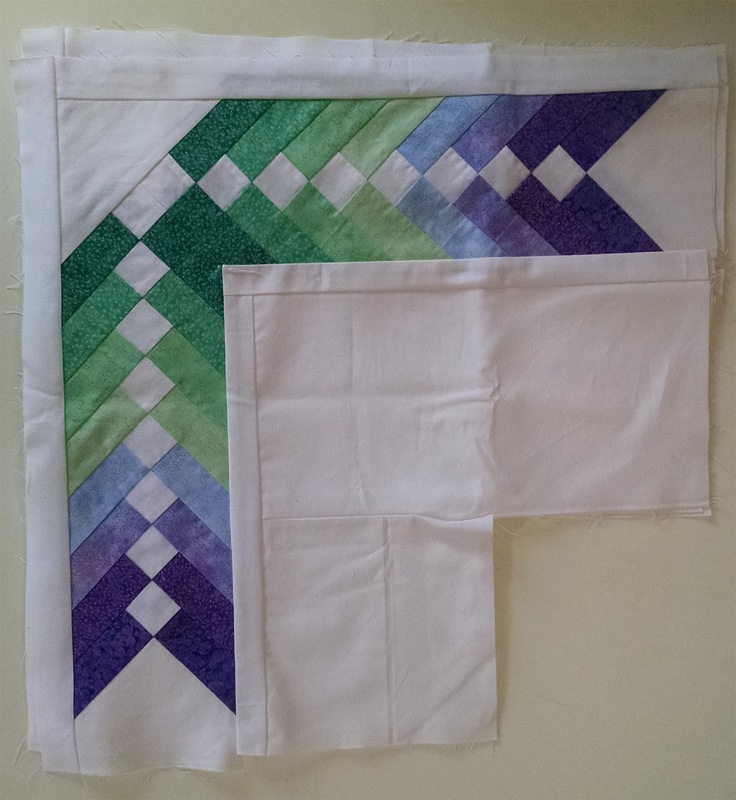 So, I ignored the directions for the white slab-o-border and with the help of my reference books, made a staggered piano key border from the TONS of leftover focus fabrics. (And there is STILL enough focus fabric fat quarters to make another decent sized quilt.) Truthfully, I like my pieced border a whole lot better than the plain, white borders. But *that* is a matter of personal preference and many quilters may like the plain borders precisely for the quilting opportunities. It took me from mid-July to mid-August 2018 to complete this top .. and do note that this is still just a top. I've made the necessary bias binding and have pinned the binding to the top (so it doesn't get lost). The finished top is hanging neatly in a closet, with all the other tops, waiting for its turn to be quilted. 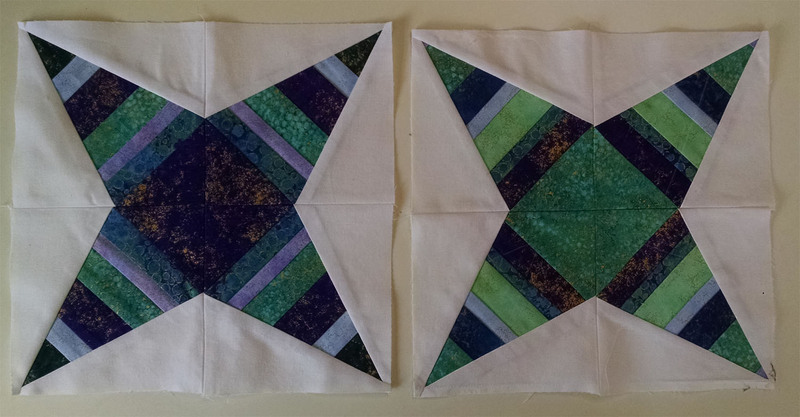 I haven't a clue when I'll get around to quilting it but I'm sure glad it is now pieced! It's a very large UFO off my list and has left a lovely HUGE empty space on my bookshelf! I really to love it when I can cross a UFO off my list.